Professor Baker recently issued a call for proposals for a conference on domestic violence in higher education that Pepperdine Law will host in October 2014. You can read his call HERE. Dean Tacha supported a short film titled “Fair and Free” that recently won an Emmy Award for the Best Short Film/PSA. You can read the press release HERE. The Straus Institute for Dispute Resolution recently hosted the 27th Annual Professional Skills Program. A record 295 professionals attended the event. Click HERE to see great pictures from the event, posted on the law school’s Facebook page by Tom Inkel, Director of Communications. We are working hard this summer in preparation of the new class of 1Ls that will arrive in August. However, it is worth noting that some of the new 1Ls are already here! This is the second year for Pepperdine Law to offer an “accelerated option” (that we call AO) to incoming students, where it is possible for a student to complete JD degree requirements in two years instead of three. This year, we had three students choose this option, and they began their law school career in May on the Monday following graduation. The picture above is taken at Professor Caron‘s house recently when he and his wife, Courtney, enjoyed a welcome dinner with the three new students, Professor Larson and his wife, Professor Pushaw and his wife, and more family and friends. 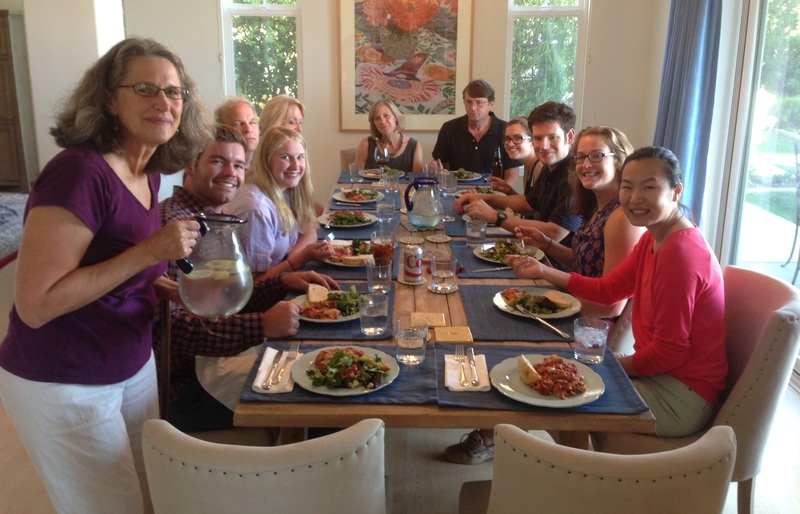 The dinner at the Carons was a lovely way to welcome this first wave of 1Ls into the Pepperdine community! I became homeless on August 29, 2005. Hurricane Katrina flooded our little house on the Mississippi Gulf Coast that Monday, and without flood insurance, we were left feeling a little bit overwhelmed. The magnitude of the destruction around us only intensified the feeling. At the time, I felt as if I wore three hats – the family hat (husband/father), the job hat (pastor of a local church), and the community hat (president of our local Habitat for Humanity affiliate). I was overwhelmed on all three fronts. My family was suddenly homeless, a full one-third of my church was homeless, and, of all things, our Habitat for Humanity affiliate was trying to eradicate poverty housing from our community – we were suddenly going backwards!!! The shock wore off more quickly than you’d think, probably because of the sheer size of the work staring us in the face, and we rolled up our sleeves in the Mississippi heat and got after it. Somewhere in the weeks that followed I had an epiphany (I get those from time to time). Out of nowhere, it instantly became clear to me what my goal needed to be for all three groups for which I felt responsible – my family, my church, and my community organization. Survival. That was the goal. Not excellence, or perfection, or any other grandiose term. Just survival – that was plenty to shoot for, and truth be told, it was a pretty lofty goal. It may not surprise you that I found a lot of connections between Hurricane Katrina and studying for the bar, since both apparently qualify as traumatic experiences! These were the two times in my life when “overwhelmed” was a word I thought about several times each day. So it stands to reason that I think my life goal in 2005 is a decent goal for you to adopt in 2014, too. It is unlikely that you will ace the bar exam, and that really shouldn’t be a thought in your mind anyway. No, you’ve got a lot coming at you, so just commit to something else that is rather impressive in its own right. Be a survivor. Get up each day, face the daunting pile of work, give it your best for the day, and then get some sleep. Rinse and repeat. Before long, you will see that you have done it – survived. That is an accomplishment for which you will forever be proud. On to the Full Senate! The Senate Judiciary Committee has advanced six nominees for federal court — including alumnus Andre Birotte Jr. (JD ’91) — to the full Senate. Mr. Birotte would be the third Pepperdine Law alum to be named to the federal bench in two years. Summer witnesses many unique events at Pepperdine. 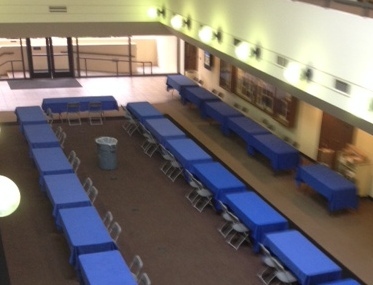 Today, the law school atrium is prepared to welcome the Pacific Coast Association of Prelaw Advisors to campus. It will be our pleasure to introduce our law school to many of those who advise college students on how and where to pursue a law degree. It is my distinct honor to officially welcome this group and emcee a short presentation on several of our unique programs. I am excited for a different reason. Tomorrow, my family embarks on a week’s vacation! The blog will be silent for a week, but I will be back in business on Monday, June 23. Professor Jeff Baker launched a fantastic blog last semester for clinical law professors. Here is a link to an interesting article on laptops and learning from a couple of weeks ago on Professor Baker’s blog. Dean Tacha published an excellent article in the current edition of The Bencher: The Magazine of the American Inns of Court titled “Law School Reform: A Profession-wide Problem Calls for Profession-wide Solutions.” It is definitely worth the read. I once attended a “clickers” presentation delivered by Professor McNeal. In it, he cited a study done by Michael Hunter Schwartz on learning retention. I once had the chance to sit next to Professor Schwartz on an airplane, and I relished the opportunity to pick his brain. He is considered by many to be the leading expert on “learning” in the legal education community and is now the dean of the law school at the University of Arkansas at Little Rock. This study claims that you remember 30% of what you “see” but 90% of what you “speak and do.” I’ll emphasize the “do” part more than the “speak” here, but the bottom line is that you remember much more from practice than from simply studying outlines. In the last few years, studies confirming this concept were published in the New York Times and the Wall Street Journal. You say, “I made it through law school without practicing that much!” True, but you are now asked to do something different, at least in one respect: You are asked to prepare for twelve finals at once (with admittedly less depth of knowledge required) instead of taking one at a time. Think about it: It makes sense that the word that kept playing in my head when studying for the bar was “overwhelmed.” It makes sense because my normal way of studying could not conquer the bar like it could conquer a law school final – in fact, given my way to study, I should be overwhelmed. My typical law school outline for a single course was about 25-pages. If I did that for the 12 bar subjects, then I would have to memorize about 300 pages of outlines for the bar!!! I could never do that (which is why I limited my normal outlines to 25 pages — that was about my limit). Let’s say I cut down all the bar subjects to bare-boned 10-15 page outlines so that I only included rules I needed to know, factors, etc. – that would still be 150 pages of outlines!!! So, here is the good news. All the bar review companies know this is too much for rote memorization, which is why they design their program to have so much practice. Practice is the big dog in memorization world. You really do retain significantly more if you “do” than if you just “see” outlines and flash cards. Now, an important caveat: Practice is only helpful if you spend quality time reviewing the practice tests to figure out what you did right and what you did wrong. That is when the learning/memorization takes place, and the learning/memorization that takes place in that review is simply more “sticky” than reviewing outlines and flash cards. If it makes you feel better (and it did me), then create a little bit of extra “review” time where you approach studying a subject as you did in law school. You have permission!!! But don’t back off on the practice essays & MBEs. That is where you defeat the bar exam monster. Hang in there, my friends. Reach out to me whenever.